^ a b c De Pury, Albert; Romer, Thomas (2000). "Deuteronomistic Historiography (DH): History of Research and Debated Issues". In de Pury, Albert; Romer, Thomas; Macchi, Jean-Daniel. Israel Constructs its History: Deuteronomistic Historiography in Recent Research. Sheffield Academic Press. ISBN 978-0-56722415-6. ^ a b c d e f g Younger, K. Lawson Jr (2003). "Joshua". In Dunn, James D.G. ; Rogerson, John William. Eerdmans Commentary on the Bible. Eerdmans. ISBN 978-0-80283711-0. ^ Klein, R.W. (2003). "Samuel, books of". In Bromiley, Geoffrey W. The international standard Bible encyclopedia. Eerdmans. ISBN 9780802837844. ^ Knoppers, Gary (2000). "Introduction". In Gary N. Knoppers; J. Gordon McConville. Reconsidering Israel and Judah: recent studies on the Deuteronomistic history. Eisenbrauns. ISBN 9781575060378. ^ a b Coote, Robert B. (2000). "Conquest: Biblical narrative". In Freedman, David Noel; Myers, Allen C. Eerdmans Dictionary of the Bible. Eerdmans. p. 275. ISBN 978-905356503-2. ^ Bartlett, John R. (2006). "3: Archeology". In Rogerson, J.W. ; Lieu, Judith M. The Oxford Handbook of Biblical Studies. Oxford: Oxford University Press. p. 63. ISBN 978-0-19925425-5. ^ Laffey, Alice L (2007). "Deuteronomistic history". In Orlando O. Espín; James B. Nickoloff. An introductory dictionary of theology and religious studies. Liturgical Press. ISBN 9780814658567. ^ a b McConville, Gordon (2001). "Joshua". In John Barton; John Muddiman. Oxford Bible Commentary. Oxford University Press. ISBN 9780198755005. Briggs, Peter sr. (2005). "Testing the Factuality of the Conquest of Ai Narrative in the Book of Joshua". In Carnagey, Glenn A.; Carnagey, Glenn jr.; Schoville, Keith N. Beyond the Jordan: Studies in Honor of W. Harold Mare. Wipf & Stock. pp. 157–96. ISBN 978-1-59752069-0. Campbell, Anthony F (1994). "Martin Noth and the Deuteronomistic History". In McKenzie, Steven L.; Graham, Matt Patrick. The history of Israel's traditions: the heritage of Martin Noth. Sheffield Academic Press. ISBN 978-0-56723035-5. Jacobs, Paul F. (2000). "Jericho". In Freedman, David Noel; Myers, Allen C. Eerdmans Dictionary of the Bible. Eerdmans. ISBN 978-9-05356503-2. Hess, Richard S. (2008). 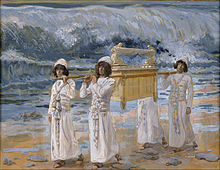 "The Jericho and Ai of the Book of Joshua". In Hess, Richard S.; Klingbeil, Gerald A.; Ray, Jr, Paul J. Critical issues in early Israelite history. Winona Lake, IN: Eisenbrauns. pp. 33–46. ISBN 978-1-57506804-6. Van Seters, John (2000). "The Deuteronomist from Joshua to Samuel". In Knoppers, Gary N.; McConville, J. Gordon. 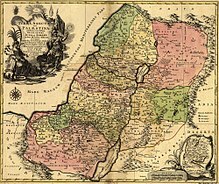 Reconsidering Israel and Judah: Recent Studies on the Deuteronomistic History. Eisenbrauns. ISBN 978-1-57506037-8. Wazana, Nili (2014). "Chapter 1: "Everything Was Fulfilled" versus "The Land That Yet Remains"". In Berthelot, Katell; David, Joseph E.; Hirshman, Marc. The gift of the land and the fate of the Canaanites in Jewish thought. Oxford University press. pp. 13–35. ISBN 978-0-19995982-2.